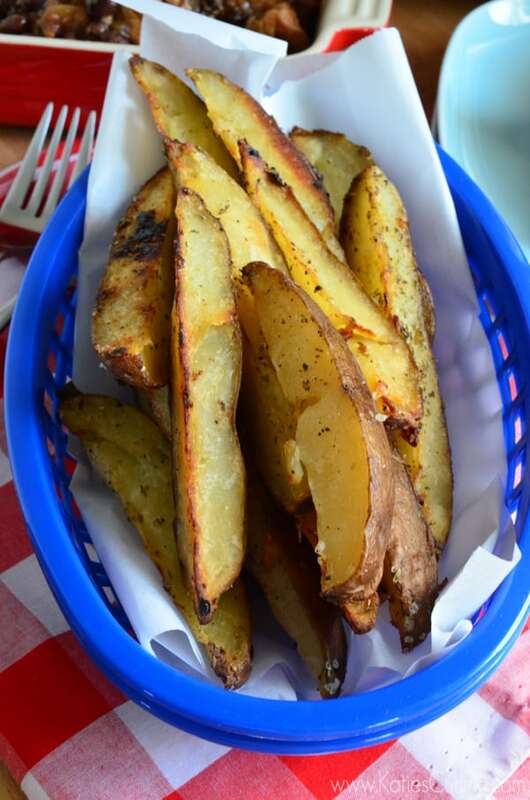 Utilize leftover baked potatoes, oil, and seasonings to whip up a tasty side dish of of italian-style baked potato wedges. You guys, I’m so sorry I was absent all last week. Every time I tried to get on the computer something else was calling my name. Whether it was my newborn, my home, or paid projects I was a busy lady. By the time I would get free time in the evening, the baby was asleep and this mama was tired. Since being pregnant I’ve tried not to “sweat the small stuff”. I’ve really tried to roll with the punches, and for someone who is a planner–that is a challenge. But overall I think I’m doing good just taking it day-by-day, and because of that I’m finding that some evenings I make random meals. Meals that we would not normally eat for dinner. With that being said I’m constantly looking for ways to not only use up leftovers but make really quick and delicious tasting side dishes. I find that I’m making baked potatoes in the slow cooker at least every two weeks. I typically just eat the leftovers for a quick lunch, or chop them up and make a quick breakfast potato. Most recently, I had this ah-ha moment. 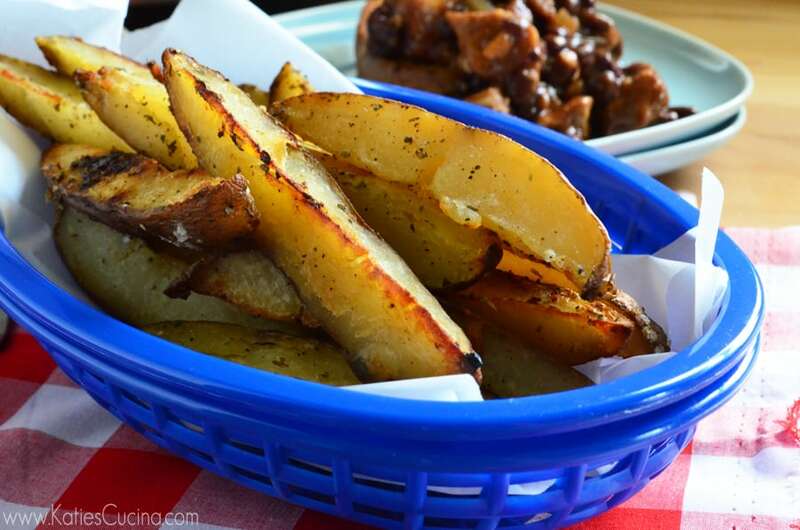 Why not make potato wedges out of the leftover potatoes. So, that is exactly what I did. I split the potatoes in half and then cut 3 thick wedges from each half. I placed them in a ziplock bag and tossed them with an olive oil blend, garlic, salt, pepper, and Italian seasoning. Gave them a shake and then roasted them for 20 minutes. Cut leftover, cooked baked potatoes in half, then cut each half into 3 wedges. 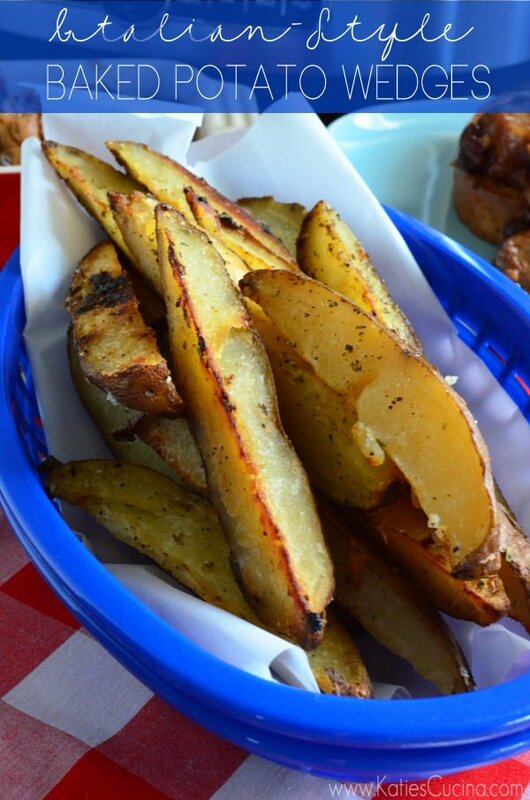 Each baked potatoes should yield 6 large wedges. 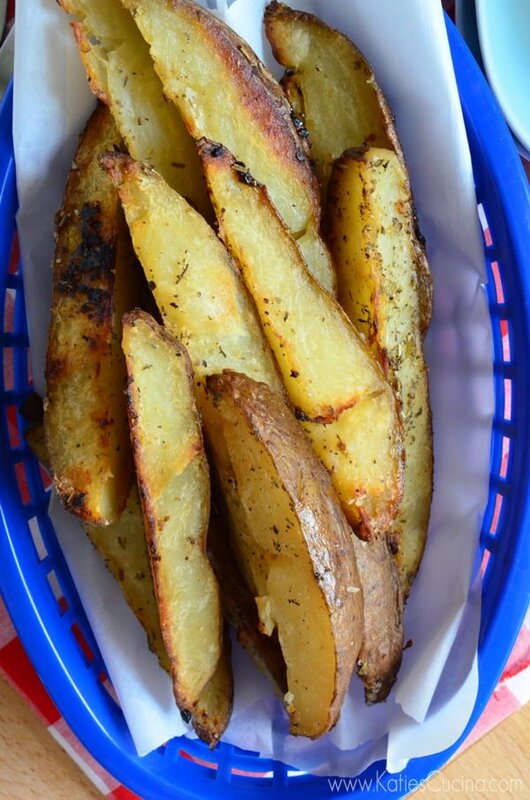 Place the wedges in a ziplock bag and combine with oil, garlic, italian seasoning, salt, and black pepper. Carefully toss, then place on a tinfoil lined baking sheet. Bake for 20 minutes, turning once, until golden brown. These remind me of my childhood! My dad used to make these with Italian seasonings and all. Thanks for the memory this morning and will be sure to make these soon! All that is missing is a big juicy burger. These fries sound outstanding Katie, and I really like the Italian seasonings. mmmmm these are genius!!!! I love how flavorful and soft and just perfect these wedges look! Mouthwateringly good!